Students of K.R. Mangalam participated in ‘ProjectParidhi’ a science experimentation project by SPACE to popularize hands on science. 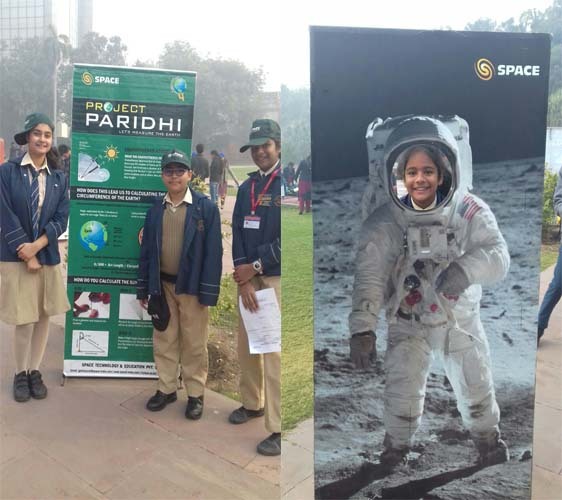 This project was initiated by SPACE on21st December 2017 in Jantar Mantar. yearsago, with the intention to increase awareness amongst Indians that science can be done without any complicated equipment. Under this project the studentstried to findout the circumference of the Earth by taking measurements of the shadows made by the sun in a day, as done 2300 years back by astronomer Eratosthenes, who was able to measure it within 2% of the present accepted value. Three volunteers of K.R. 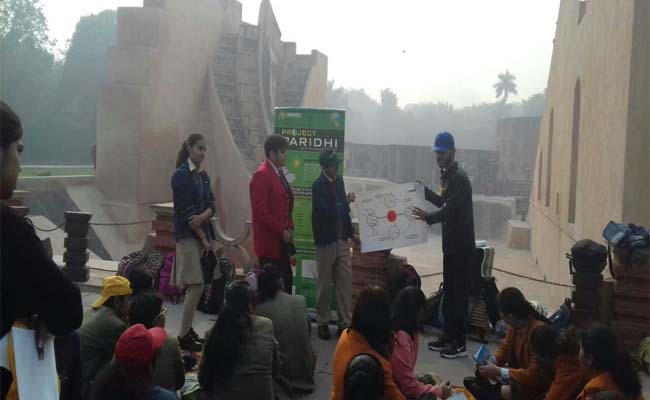 Mangalam world school, Greater Noida, Apurv(Class VI), Tanishtha(Class VI) and Drishti(Class VIII), went to Jantar Mantar and helped in smooth conduction of the event. 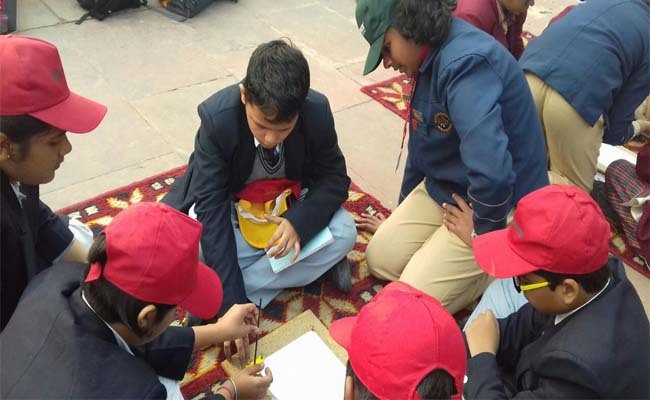 They helped the students of different schools to calculate circumference of the Earth. The students calculated the circumference of the Earth by using simple tools and mathematics. Students performed the shortest shadow experiment as done by the astronomer Eratosthenes 2300 years back. Through this projectthey helped the participants understand seasons and motion of the Earth. Gnomons (a Greek word for an object whose shadow serves as an indicator of time, especially of the hour of the day) of all sizes and shapes have been used in the past – including soft drink bottles and cricket wickets to huge gnomons such as, QutubMinar, Samrat Yantra at Jantar Mantar and sundial at Barapullah, Delhi.